Enjoy the best inspirational, motivational, positive, funny and famous quotes by Al Barkow. Use words and picture quotations to push forward and inspire you keep going in life! 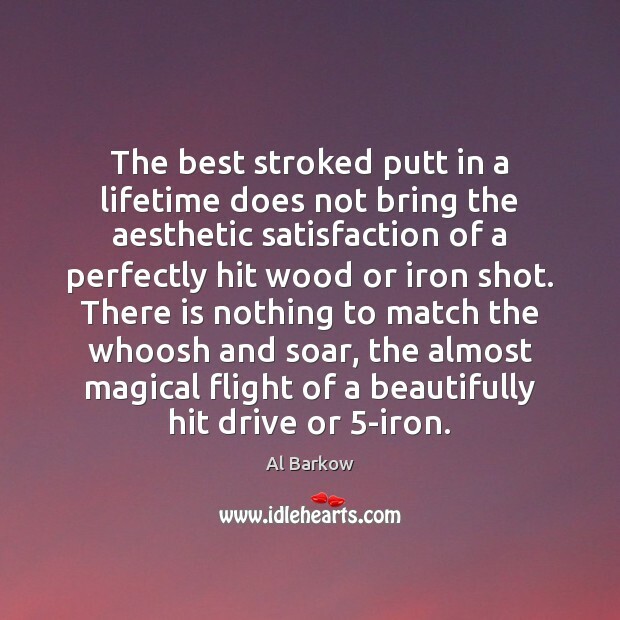 The best stroked putt in a lifetime does not bring the aesthetic satisfaction of a perfectly hit wood or iron shot. There is nothing to match the whoosh and soar, the almost magical flight of a beautifully hit drive or 5-iron.